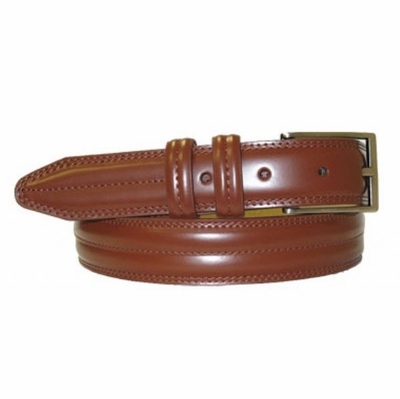 1 1/8" width center stitched smooth leather belt, nickel brushed finish buckle .1 1/8" wide. Genuine Italian calfskin lined with soft genuine leather. Sizes Available from 32" thru 52".